Welcome to the premier source for medicinal cannabis in Illinois. You can visit Elevele® in Highland Park, IL as of March 23, 2016. You’ll find there is no lingo. No code words. No hype. Just sincere, medicinal cannabis experts with a customized approach to your care in a clean, safe, secure and supportive environment. For many years, medicinal cannabis has been misunderstood. We’re here to bring a sensible and informed perspective to your care. Learn for yourself and discover a great experience with experts that can help you find your level. Paul is an integral member of the management team at Elevele. 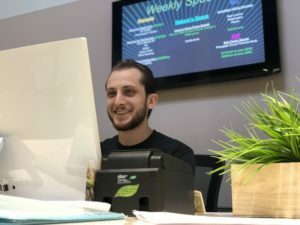 A native of Northbrook, Illinois, Paul’s interest in the medical marijuana industry began after taking a pharmacology course in college where he learned the in-depth medicinal benefits of marijuana and its numerous cannabinoids. After earning his psychology degree from the University of Iowa, Paul served as a top manager for the marketing department of an international liquor importer, followed by four years in the healthcare industry. During this time, his passion for medical marijuana drove him to begin researching on his own. He traveled between Illinois and Colorado over the next several years to learn as many aspects of the marijuana industry as possible. This experience allowed him opportunities for hands-on learning about cultivation, producing extracts and edibles, and developing exceptional product knowledge with a focus on quality. 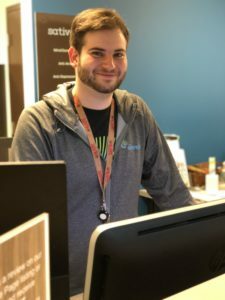 Paul’s vast, in-depth knowledge of different cannabis strains and consumption methods provides patients at Elevele with an exceptional level of care that addresses both their medical and emotional concerns. Paul currently resides in Highland Park, Illinois and in his free time enjoys exercise, fly fishing, and traveling with his family. Heather grew up in Buffalo Grove and currently resides in Vernon Hills with her husband and two children. She continued her education at The College of Lake County, earning her Phlebotomy and Medical Assistant Certificates. 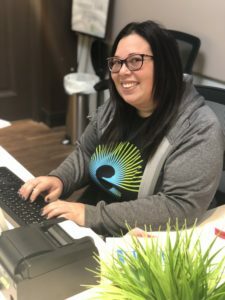 Heather takes pride in being able to help people in any way she can. After a terrible fall, Heather was diagnosed with Chronic Regional Pain Syndrome. Her doctors treated her with large amounts of opiates where she struggled with the efficacy of that treatment. She searched for an alternate course and found medical cannabis was an effective way to manage her disease. When Heather realized how medical cannabis helped her with pain, anxiety, and so much more, she made it a mission to become more educated, spread the word, and help stop the stigma! Heather is an active member of an organization called Illinois Woman in Cannabis, which holds many outreach programs to educate the community. 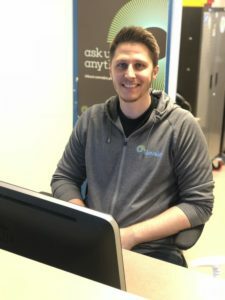 As the product inventory manager, Jack is invested in providing a wide variety of different products to cater to the needs of all of Elevele’s patients. Jack has been a Highland Park resident since 1999. He studied at College of Lake County with a focus in psychology. Jack’s passion for medical cannabis started in 2016. His father decided to join the Illinois medical cannabis pilot program after suffering from Parkinson’s disease for many years. After joining the program, his father had shown significant improvement in symptom management. When Jack saw all the relief that cannabis had provided for his father, he decided that he would obtain a medical cannabis card as well to treat his PTSD and depression. After personally using medical cannabis, Jack discovered that it relieved his symptoms more efficiently and effectively than conventional pharmaceuticals. In his free time, Jack enjoys glassblowing or spending time with friends and family. As a caregiver, Jack is accustomed to helping all those in need and is happy to do so. Akemi is a Communications Studies and Hospitality Leadership graduate of DePaul University in Chicago, IL. Her journey with cannabis primarily took off in college when she joined Students for Sensible Drug Policy and learned about the systematic issues of the war on drugs. 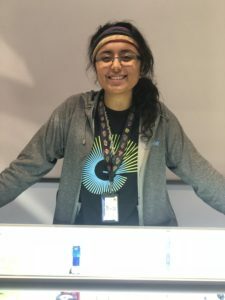 She went on to intern with a Chicagoland local CBD company called Alternative Vibes. Her path eventually led her to southwest Colorado for the summer after graduating college to work at Chimney Rock Organic Hemp Farm where she pursued her love for cultivating. Wanting to be closer to friends and family, she made her way back home where she now humbly serves the patients of Elevele. Akemi also takes pride in being a part of the non-profit organizations Chicago Psychedelic Club, Illinois Women in Cannabis, and Chicago Recovery Alliance. In her free time, she enjoys exploring new forest preserves, going to concerts, and simply spending quality time with her close friends. Brendan grew up in Northbrook where he currently resides. He returned to Illinois after spending 4 years at the University of Colorado-Boulder where he studied Business Management. It was during this time that he became very interested in and more knowledgeable about the uses of cannabis to treat a wide variety of medical conditions. His personal interest in the field of medical cannabis was later strengthened when his father was diagnosed with Parkinson’s. As a patient care representative, Brendan is dedicated to helping others and using his knowledge to educate others. In his free time, he enjoys snowboarding, sports, and spending time with family and friends.